Today is my stop on the Hello, Ollie Blog Tour. 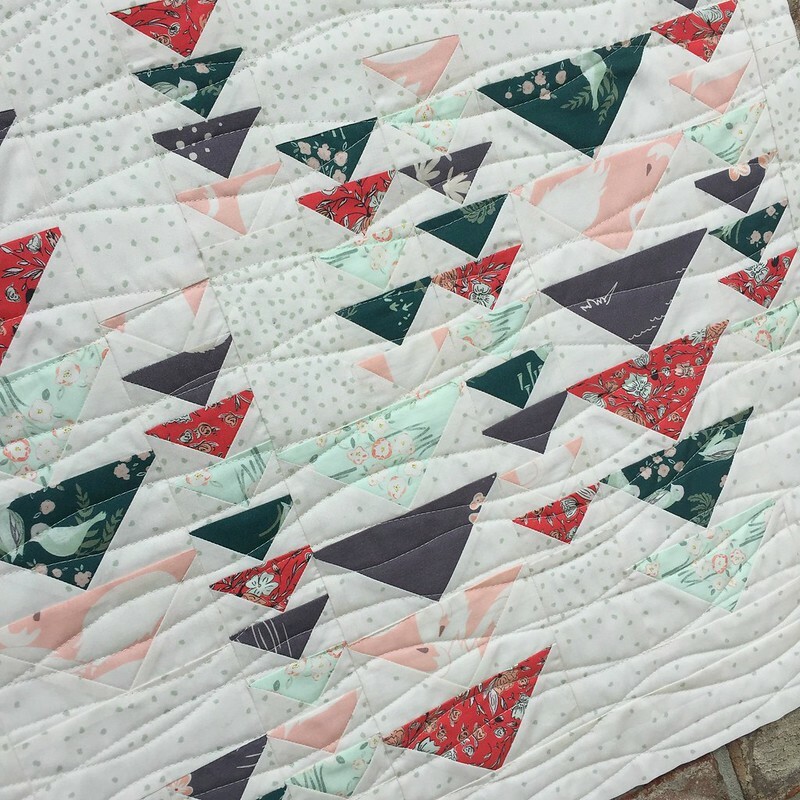 I was lucky enough to get some of these gorgeous fabrics by Bonnie Christine to play with prior to quilt market. 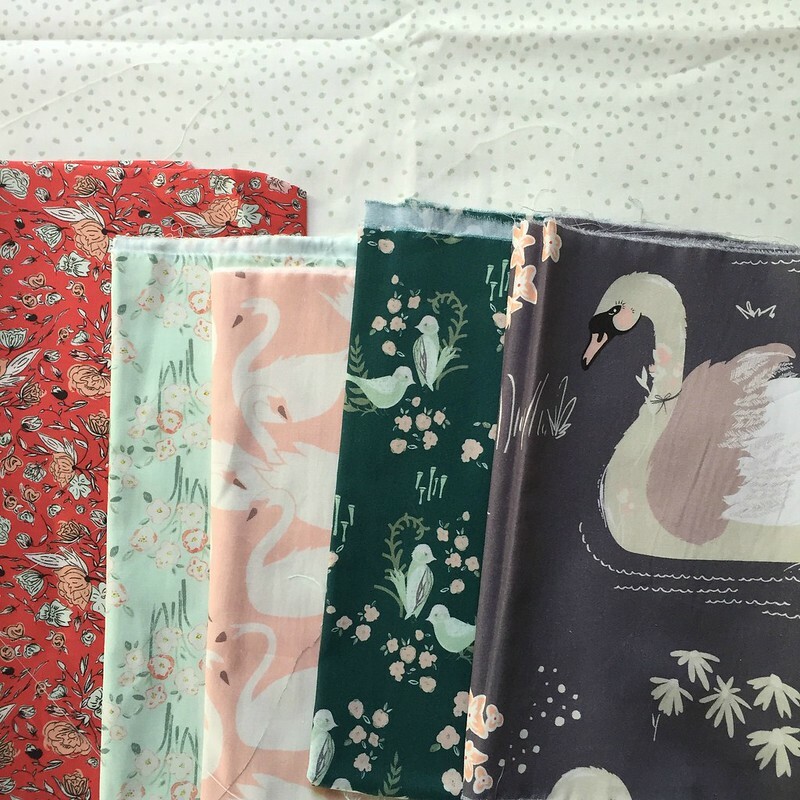 Below are the fabrics I chose, but if you'd like to see the entire collection, click here. Bonnie was looking to fill her quilt market booth with a number of mini quilts and at the time, I had been wanting to make a "mini" sized Heading South quilt. 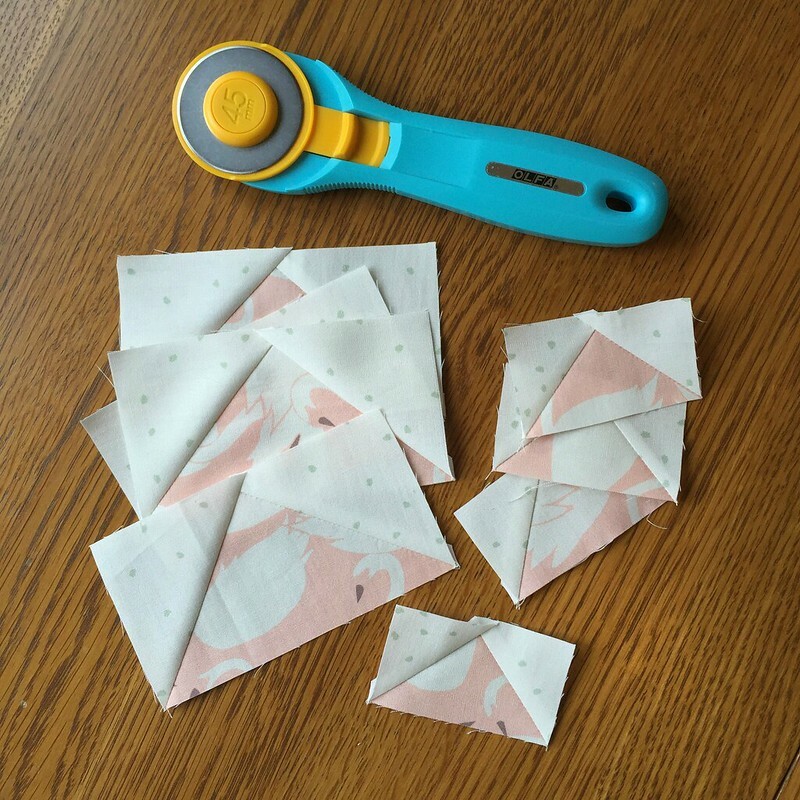 So I set off to make some tiny flying geese...aren't they adorable?! 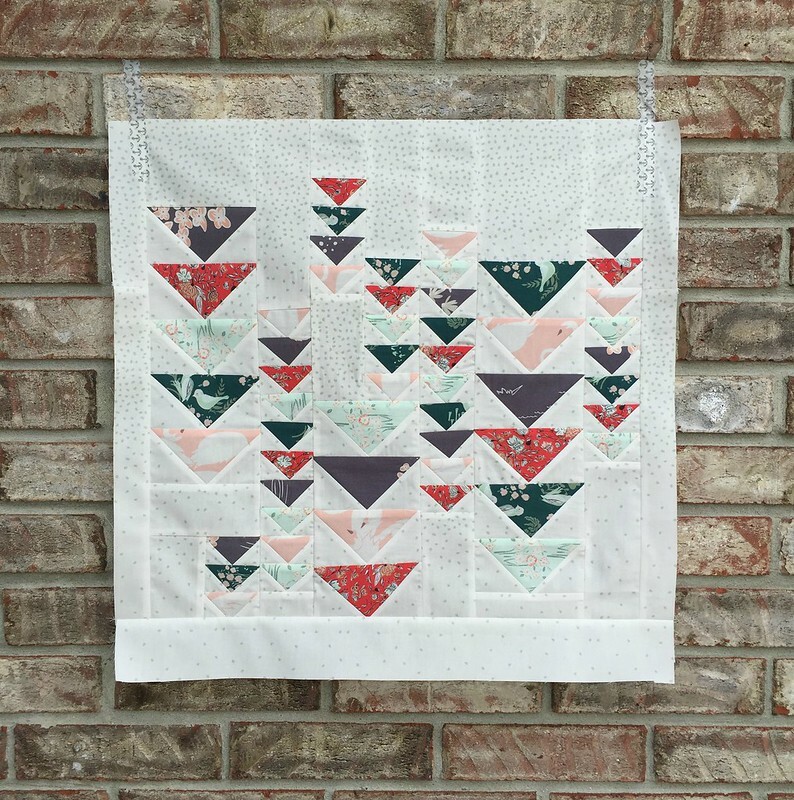 And here was the first Heading South Mini Quilt. It finishes at 20" square. If you'd like a pattern to make your own, you can find it in my shop. That background print is perfection how it goes from dense to sparse dots, almost like falling snow. I fell absolutely in love with it. Bonnie had planned to frame each of the mini quilts, so no binding was needed. 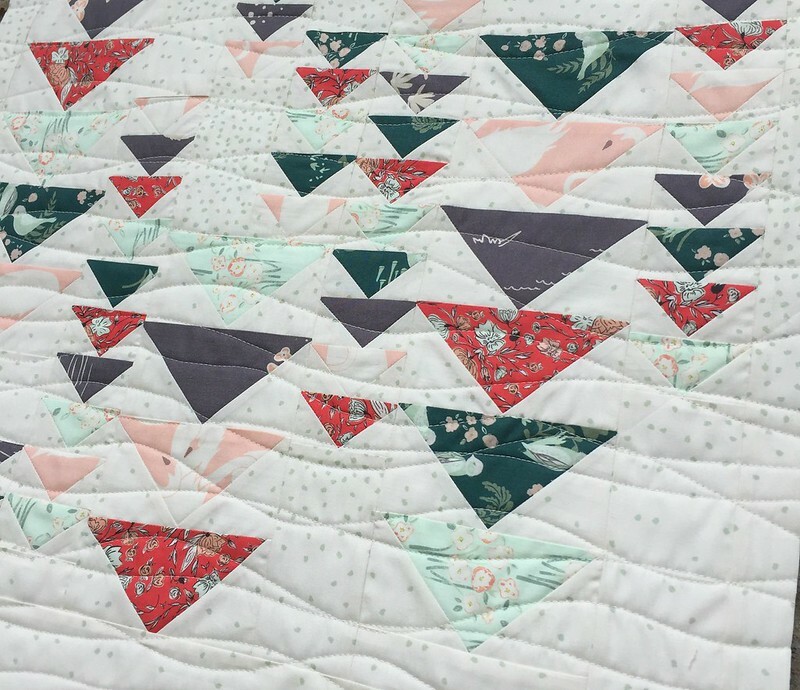 Some simple organic wavy line quilting seemed to set these geese off perfectly. I just can't get over the gorgeous colors in this line! 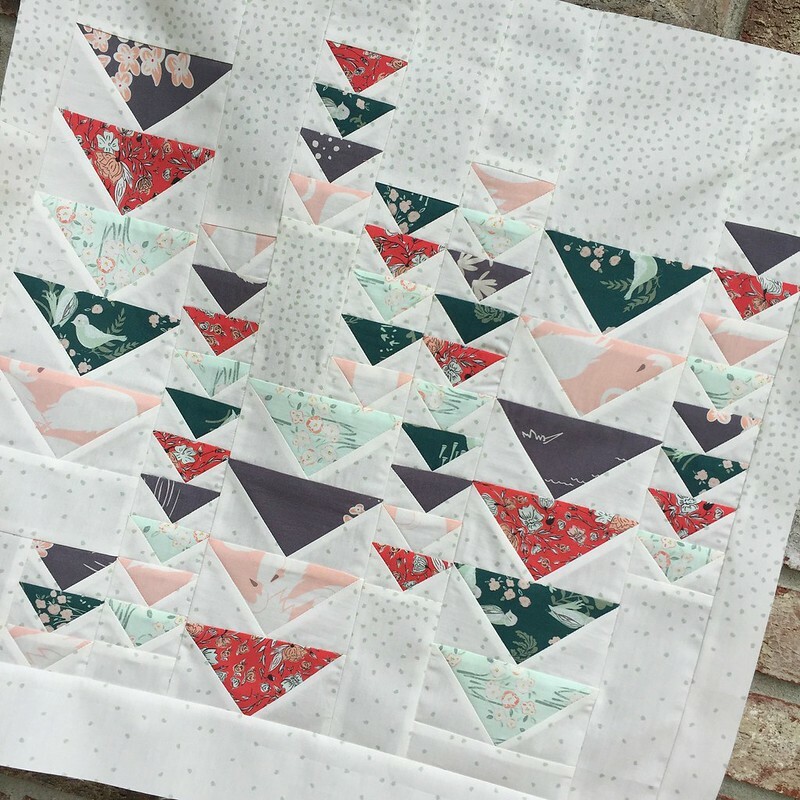 If you'd like to see all of the other beautiful creations made with Hello, Ollie fabric, check out the blog hop schedule here. Yesterday, Taylor Urban shared her AMAZING swan wings!!! (Seriously, you MUST check them out!) And I can't wait to see what Hailey Johnston shares tomorrow.